Reading Simply Tuesday and also Wonderstruck by Margarent Feinberg. (which my best friend gave me for Christmas :D) Beyond that I already have Longing for Paris on my “longing to read” pile – If only I could read faster!!! My best friend’s husband reads almost a book per day – and comprehends it! But that is a gift I didn’t get. I have to read slowly and savor. I can’t wait to hear about them! I read part of Wonderstruck and loved it but think I must have passed it on to someone else before I finished it. And I have Longing for Paris on my “to read” shelf… and love Emily Freeman… so looking forward to your thoughts! No rush… Take your time… I read A LOT but it seems like these books, which are so helpful and just what I need, get passed over in favor of fiction, so I’m trying to be more intentional and let myself take my time with them and have more than one book going at a time. I like to just finish already :-). my “plan” is to read Small Victories by Anne Lamott. I have several of her books in my stash and haven’t even cracked the binding! So. . .here goes. ..
Yay Missie! Hope it’s as good as her other ones! I appreciate the list of books under “Some other ideas to consider.” The titles themselves speak to needs, hopes, and struggles many of us women face. Thanks. It was fun to search for options. Great idea! 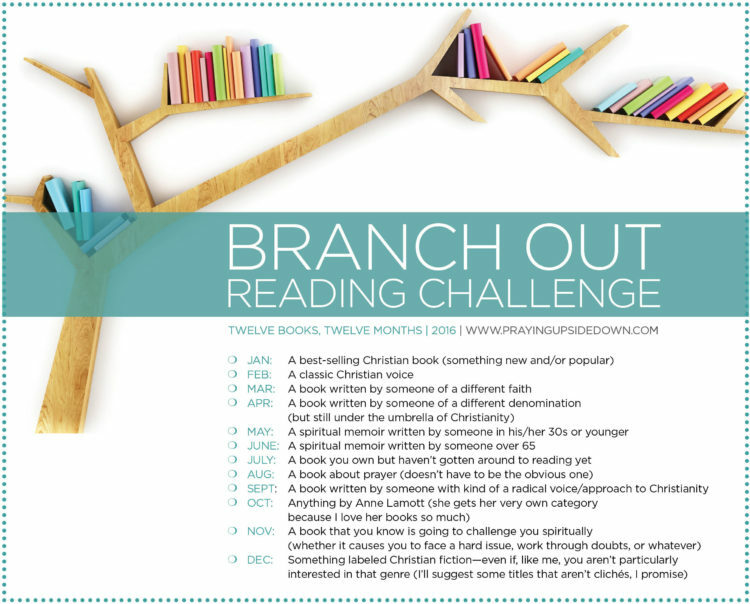 I’ve just finished Ann Voskamp’s book, “One Thousand Gifts”, and am always on lookout for new reads. Kelly, I have just come across your blog and am very excited to read longing for Paris. I also have Jen Hatmaker’s book too. My hope is to read both this month. My lifestyle has changed over the last couple of years and I have quite a bit of quiet time now in my life. I have had a hard time adjusting to the new way of life and feel I waste a lot of it not choosing to grow as a “senior” adult and explore new possibilities. I am just beginning to realize how books could take me on many a journey in the coming year! Thanks for encouraging us to share our experiences through our new reads with you and others.